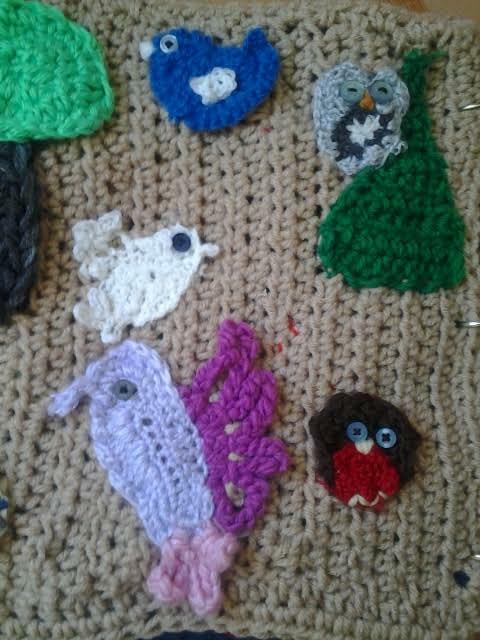 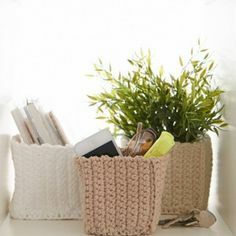 I stumbled on whole the idea of crocheted playbook at http://creativecrochettoys.blogspot.ca/. 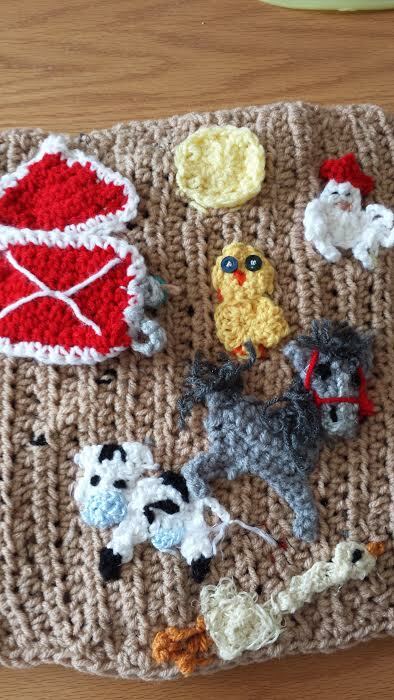 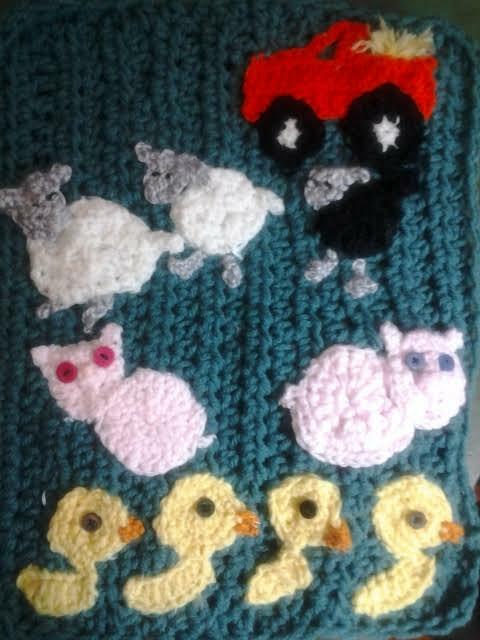 I created an original animal book for one grandson’s birthday and I am now copying Joanita Theron’s “my little playhouse” crocheted book for a granddaughter’s third birthday. 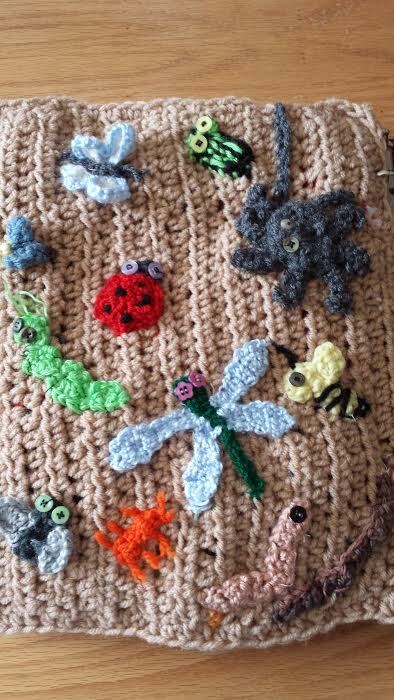 This entire project was so much fun and my 2-year-old grandson is completely enthralled with both the texture, colour and detail on every page. 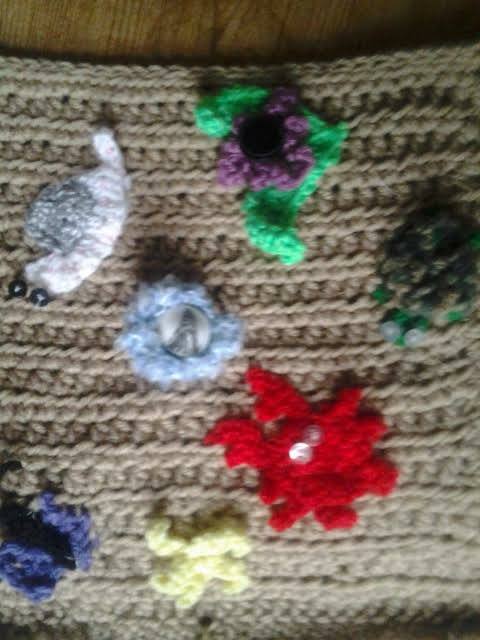 I used an old binder to put the crocheted pages together. 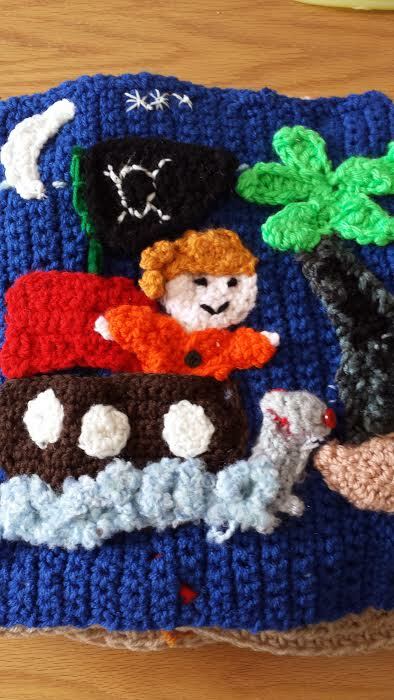 So far, I have a pirate front page with an under the sea page, seashore, birds, insects, two farm pages and indoor pet page.